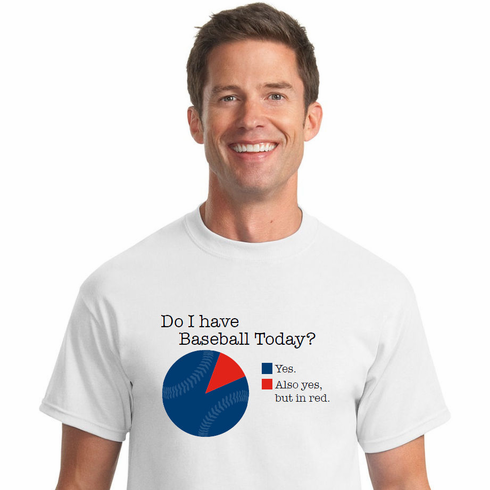 These baseball t-shirts feature the Do I have Baseball Today? Pie Chart graphics printed on the chest. 100% cotton.